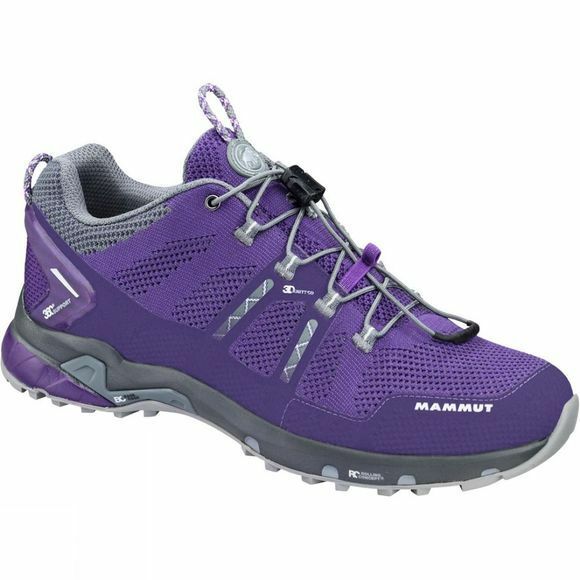 The Womens T Aegility Low Shoe from Mammut allow for uneven terrain to be made easy: The T Aegility Low Women features Mammut's patented sole concept: The support and cushioning encourage the foot's natural rolling movement and consequently reduce fatigue and the risk of twisting your ankle. The memo foam inside the shoe ensures an individual fit and cushions the instep, shin and ankle. The 3D-knitted elements are elastic, adapt to the shape of your foot and provide excellent ventilation. You can conquer any trail with this shoe.